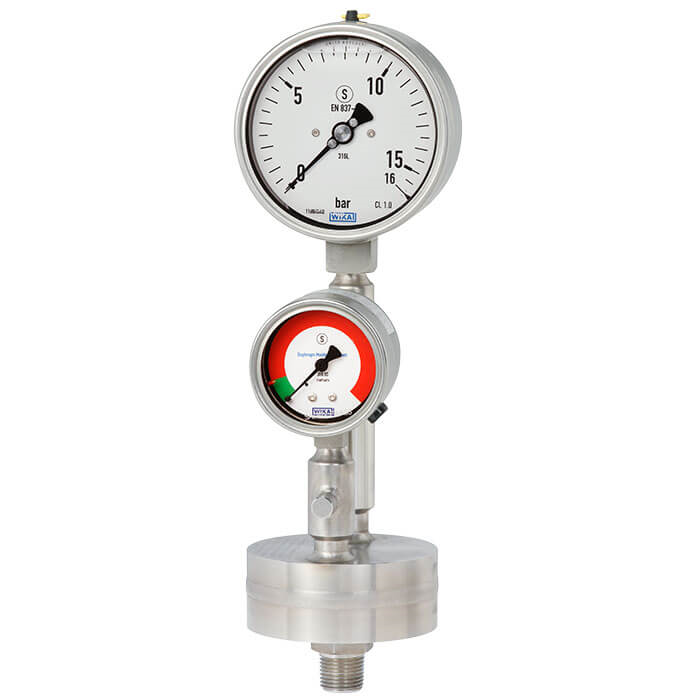 The WIKA combination of diaphragm seal, pressure measuring instrument and monitoring element is ideally suited for the harshest measuring tasks. The system can withstand aggressive, contaminated or hot media and ensures a secure connection between the medium and the diaphragm monitoring system. Diaphragm monitoring systems with the WIKA model 990.34 diaphragm seals are used successfully in applications with hydrofluoric acid content. The model DMS34 is a patented WIKA development, see e.g. patent DE 19949831, and is subject to further pending patents, e.g. US 2018180505, DE 102016015447, CN 108240885.